Arch Chemicals, the parent company of Arch Water, a brand known in the swimming pool industry for water quality and testing products, is to be taken over in a deal worth US$1.4 billion. Arch Chemicals, with headquarters in Connecticut, is a global biocides company with interests in personal care products, wood protection as well as water products. It has 3,000 employees and manufacturing and customer-support facilities in North and South America, Europe, Asia, Australia and Africa. Swiss pharmaceutical giant, Lonza plans to acquire Arch Chemicals in a cash deal to benefit from a new 15% market share in the US$10 billion per-year anti-microbial market. 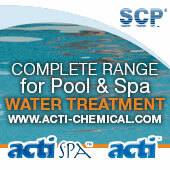 Arch is a world leader in water disinfection through its water products business. 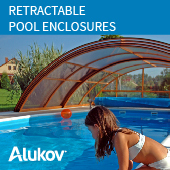 It specialises in commercial, residential swimming pools and industrial products to keeping water clean and safe. In the UK its chemicals and equipment products are sold primarily under the HTH®, Fi-Clor® and Easiflo® brand names.